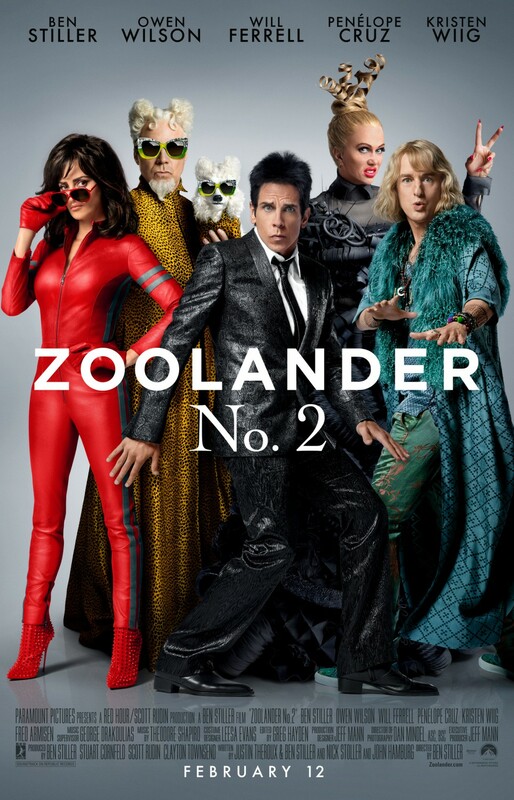 Chrichton's World: Review Zoolander 2 (2016): I liked it but not as good as the original! Review Zoolander 2 (2016): I liked it but not as good as the original! Zoolander is back and he is pretty and dumb as ever. Does he still provide the laughs 15 years later? Let's find out shall we. Ben Stiller as Derek Zoolander is delightful so is Owen Wilson as Hansel. They played their characters as we expected them too so nothing wrong here. And Zoolander 2 is filled with nice little surprises in the form of cameos and throwbacks to the original so nothing wrong with that either. But what really stopped this film from being a hilarious masterpiece is the poor script and the flat jokes. Only a few of them were clever and hilarious. Most of them were of the kind I could care less about. For example in the opening scene the inclusion of Justin Bieber. WTF? Why was he in there? Don't tell me he was put in there to appeal to a younger audience? Most of them weren't even born when the first Zoolander was released so I doubt they will know what the big deal is about this sequel. As for the most part it offers more or less the same with less effective jokes. Of course you can't but help be impressed by the many cameos. Still not a whole lot inventive and creative things have been done with them except a few like the Sting one. But basically you get presented with a famous face and then they do something that might or might not be funny. And then they move on to the next cameo. Often with faces most of the audience won't even recognize. I know it has been a while I have seen the original but I do remember that it was quite sharp. It made fun of the fashion industry in a very clever way. In the sequel they have strayed from the fashion and are more focused on the Bondesque elements. Please Stiller and Theroux that already has been done to death and far better. Do I need to remind you of a little movie called Kingsman: The Secret Service made not so long ago? Stiller has played it safe. If ever there was a need for bigger and better it was with this sequel. It literally was begging to go over the top and oh my lord I would have embraced it. One example of this is the return of Will Ferrel as Jacobim which looked promising in the trailer and I was expecting things to go real crazy the minute he was on screen and it does but his involvement is over before you know it. Overall this won't be an entire waste of your time but if you have seen and enjoyed the original you will be disappointed with this sequel.